A hint of yellow is all you need to make someone's day cheerful and bright. With our Yellow Cellos, sending mail didn't just get easier, it got happier too! Yellow 4.625 x 6.4375 envelopes are the perfect fit for index cards, happy Easter cards, or smaller invitations. Make your wedding invites extra special, your Easter cards extra festive, or your studying less stressful with a touch of yellow. Yellow always brings a smile on a face, so why not decorate your content with it? The cellophane material is super strong so that your content will be protected from bends, tears, and spills. And the self-adhesive closure is perfect for securing everything up tight. All you need to do is peel and seal and the envelope can be on its way. So choose yellow for that perfect pick me up! 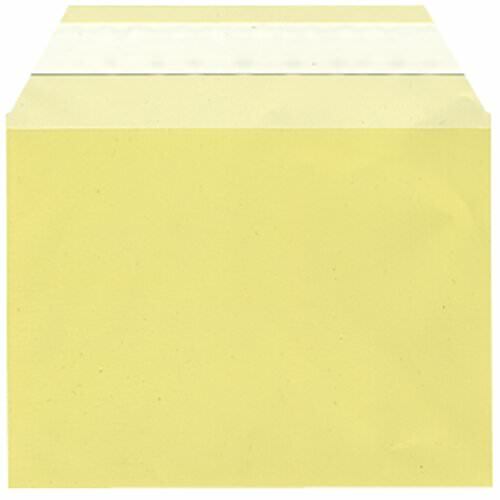 Yellow 4 5/8 x 6 7/16 Envelopes are currently available in yellow cellophane and feature a self-adhesive strip closure.